Baltimore a city that is edgy, artsy, quirky, and inviting, and provides a charming, unique living experience. Baltimore has a rich architectural legacy with a mix of Art Deco, Federal, and Victorian styles (among others), which provides a perfect setting for all individual tastes. 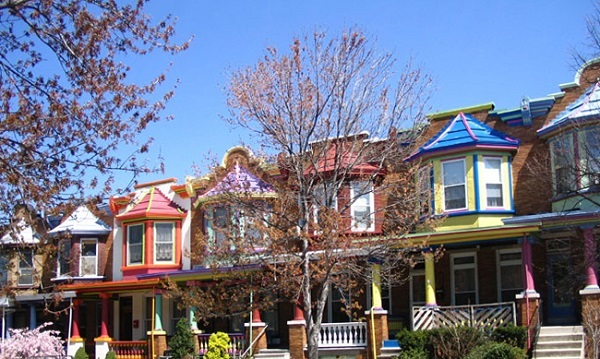 Baltimore is also known for its collection of distinct neighborhoods. The city has something for everyone. With a total population of over 622,000 people living and working in Baltimore, it is the largest city in Maryland and serves as the area's primary cultural and economic center. Baltimore is also uniquely situated in the center of Maryland, so you are only a short drive to the beach, the mountains, or farmlands. Historically a working-class port town, focused on steel processing, shipping, auto manufacturing and transportation, Baltimore now has a modern service economy, led by high-tech, biotech, medicine, and tourism. Distinctive restaurants, bars, businesses, and shops can be found throughout. The Inner Harbor - so important in the city's first days - has become the model for cities around the world. Several Fortune 1000 companies like Constellation Energy, Legg Mason, T. Rowe Price, and Stanley Black and Decker call Baltimore home. With hundreds of identified districts, Baltimore has sometimes been dubbed "a city of neighborhoods," but is more commonly known as "Charm City." The talents of writers Edgar Allan Poe and H.L. Mencken, musician James Hubert "Eubie" Blake, and singer Billie Holiday influenced it; each called Baltimore home. Baltimoreans take pride in their city, boasting one of the most remarkable transformations in history. Yet, they continue to welcome and amaze visitors with "down to earth, small town" spirit and hospitality. NORTH: North Baltimore encompasses some of the most beautiful older homes and tree-lined streets in the city, featuring the stately homes of Guilford, Homeland, and Roland Park. Johns Hopkins University occupies a prominent spot in the center of North Baltimore, accompanied by other top-notch schools like Loyola University Maryland and Notre Dame of Maryland University. Nearby Charles Village is an active and diverse community with a strong sense of self-identity, with an abundance of well-known cultural and educational resources such the Baltimore Museum of Art. North Baltimore also features more eclectic neighborhoods like Mt. Washington, Woodberry, and Hampden, with converted mills and some of the best eating in town. And Hamilton and Lauraville in the Northeast have much to offer to our diverse residents with many affordable homes in a variety of styles. North Baltimore is close to the city center yet with more of a quiet suburban feel because of the front porches and larger yards. EAST: East Baltimore and the nearby areas were home to Baltimore's once-thriving steel industry with such firms as Bethlehem Steel and Armco Steel. Tucked away between Canton and John's Hopkins Medical Center, you'll find Baltimore's up-and-coming neighborhood - Patterson Park. 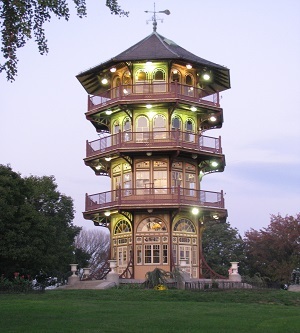 A designated historic district, Patterson Park is within walking distance of a variety of the city's best restaurants, nightlife, and cultural activities. But what it really boasts is a true sense of community. Patterson Park is one of the city's most vibrant, family-friendly parks (and dog park!). Butchers Hill is another uniquely inviting neighborhood in southeast Baltimore made up of architecturally diverse brick row houses which date back to as early as the 1850s. Another East Baltimore neighborhood, Belair-Edison, boasts plenty of green space. The 300-acre Herring Run Park runs through the neighborhood along the north side, Lake Montebello is located to the west, and Clifton Park is located to the southwest. WEST: Home to the Maryland Zoo in Baltimore and Druid Hill Park, the Parkview community and nearby Reservoir Hill contain some of the city's most stately Victorian townhomes. Baltimore City Community College and Coppin State University provide the area's higher education services. An area rich with jazz history, West Baltimore communities such as Lafayette Square housed some of the legends of the genre, like Billie Holiday. Bolton Hill is an historic district listed on the National Register of Historic Places. It is an urban neighborhood of tranquil, tree-lined streets lined with an outstanding collection of restored mid to late 19th century townhouses, urban mansions, churches, and public buildings. Bolton Hill is peppered with quaint urban parks, historic fountains, and grand monuments that complement the period architecture. Former Baltimore mayor and Maryland governor William Donald Schaefer spent his childhood in the West Baltimore neighborhood of Edmondson Village, an area bound by Gwynn Falls Leakin Park, one of the largest urban parks in the nation. SOUTH: SoBo's main neighborhoods are Federal Hills, South Baltimore, and Locust Point. Federal Hill is a neighborhood primarily of brick, late 19th Century homes. Many (but not all) have been rehabbed into modern residences in the past 15-20 years. Most homes are owner-occupied, but there is a good supply of rental housing as well. To the South there is the Port Covington Shopping Center (WalMart and Sams Club), with access to I-95 N&S and Route 295 right within reach. It's also home to the Cross Street Market - during the day shop for produce, fresh meats, and seafood, and at night the west end of the market forms part of Fed Hill's thriving bar scene. And for dining, you can't go wrong with one of my favorite restaurants - SoBo Cafe. Vibrant Locust Point is steeped in not only history, but in community. A neighborhood nestled at the end of a strategic peninsula, it is home to both Under Armour in the former Proctor & Gamble soap factory and Fort McHenry, the birthplace of our National Anthem. It is a mix of some of the city's oldest row houses and the new with - high-tech office, luxury urban high-rise living, and shopping available. Latrobe Park is also an easy walk from anywhere in the neighborhood. It has a dog park, playground, basketball courts, tennis courts, a baseball and soccer field as well as a rec center. With great people, great green space, and many amenities, SoBo is a great neighborhood to explore and enjoy! CITY CENTER: East of Fell's Point on Baltimore's outer harbor is Canton, a charming waterfront neighborhood founded in the late 19th century. A quaint village square rimmed with restaurants, pubs and shops along O'Donnell Street is the heart of this neighborhood. But wander off Canton Square to the surrounding blocks and find the heart of Baltimore, from the nearly-lost Baltimore art form of the painted screen to window shrines and rows of classic marble stoops on traditional Baltimore brick and formstone row houses. Travel farther west around the harbor and you will come to the historic and hip Fells Point, named for the Englishmen who founded a ship-building company here in 1726 that would go on to produce the famous "Baltimore Schooners." Fell's Point is a spirited waterfront community in perpetual celebration of Baltimore's British nautical roots. The neighborhood's visage has remained largely unchanged since its founding and attracts many visitors. Explore the 18th- and 19th-century homes and storefronts – most were once one of the "three B's": boarding houses, brothels and bars. Chesapeake Bay cuisine is at its best here too, whether you crave oysters on the half shell at a local pub, or fresh seafood at an upscale restaurant. A bit further west around the harbor brings you to the Inner Harbor, Baltimore's biggest and most popular tourist location. On a daily basis, this neighborhood sees thousands of visitors from all over the world. The many shops, restaurants and tourist stops sit neatly on the harbor, which provides the most scenic backdrop in the city. Families, business people, and even celebrities prefer to stay at the fine and luxurious hotels that line the harbor's edge. The historic heart of Downtown Baltimore, City Center encompasses such communities as Historic Charles Street, Charles Center, Market Place, and is home to hundreds of businesses and offices. The focus of massive new investments, Downtown's West Side is being transformed by ambitious development projects such as the recently completed Atrium at Market Center. West Side communities include University Center, and the Loft District. Don't forget a trip to Lexington Market, where you can get a snack, buy some groceries, or sit down for a memorable meal. Lexington Market has more than 100 vendors featuring all kinds of foods and produce. A National Register Historic District, Mount Vernon encompasses the best of what city living has to offer. This lively neighborhood not only serves as the cultural center of Baltimore but as the home to a diverse group of residents and businesses. Living spaces include single-family Victorian row homes, carriage houses, condominiums, apartments in row homes, and several high-rises. 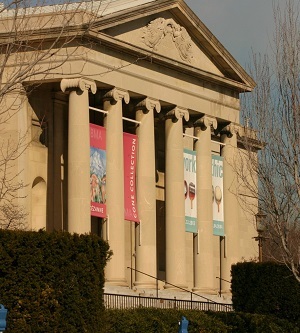 Mount Vernon is home to the Walters Art Museum, the Maryland Historical Society, Center Stage, Spotlighter's Theater, the Peabody Musical Institute, and the Enoch Pratt Library. DOWNTOWN CONDOMINIUMS: Achorage Tower, Canton Cove, Fells Landing, Harborview, Henderson's Wharf, Ritz Carlton, Scarlett Place, Silo Point, Spinnaker Bay, Towers at Harbor Court, The VUE, 414 Water Street, and more. Baltimore's Inner Harbor is an attraction in itself. But, surrounding this urban waterfront park, you'll discover a number of family-friendly places to visit. The National Aquarium features more than 16,000 animals, from sharks to a giant sea turtle, while the Maryland Science Center's highlights include two-story dinosaurs and interactive exhibits to keep the kids busy. The Port Discovery Children's Museum features more activities for the little ones, and, a short ride away, the Maryland Zoo in Baltimore's Druid Hill Park engages young and young at heart with the giraffe-feeding station and much more. And, if it's the unexpected you seek, you'll be talking about the oddities in Ripley's Believe or Not! for weeks! Numerous events come to Baltimore every year, from the many farmer's markets, outdoor summer movies in Little Italy; to concerts and shows at Pier Six Pavilion and the Royal Farms Arena, the Baltimore Symphony Orchestra, the Hippodrome Theatre; to the conferences at the Baltimore Convention Center (please don't hold BronyCon against us). And the local universities offer great music, theater, and sports events. There is always something to see and do in Baltimore! Living in Baltimore can be both exciting and very worthwhile. 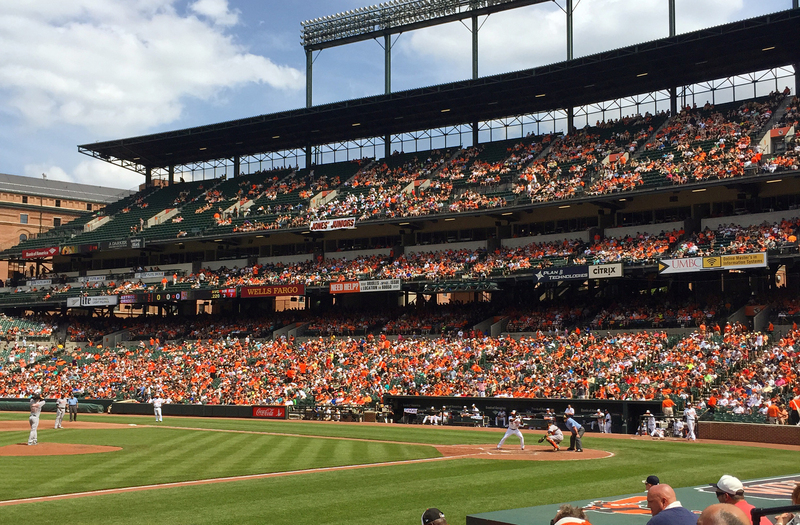 Baltimore, Maryland is nationally recognized as a top-ranked tourist destination, with numerous activities for all tastes. The city offers a wide variety of homes, condos, and rentals to suit every taste. Baltimore City also offers a variety of incentive programs to homebuyers, homeowners, and renters. Each program has specific qualifications, managed by different city departments or nonprofits. Like most cities across the country, Baltimore is a conglomeration of numerous smaller communities and neighborhoods. Each of these communities boasts its own architectural style, cultural diversity, and economic makeup, and thus has a separate real estate market. Before you begin your real estate search in the Baltimore area you should have at least a basic understanding of the communities and their relative positioning. Engaging a good real estate company will save you time and money in purchasing or selling real estate in this area. Call Brad Cox at Long & Foster Real Estate. Our agency is one of the oldest, most trusted and reputable agencies in the Mid-Atlantic, and the largest privately-owned real estate company in the nation. Our success is our client's happiness. We can make your property search a successful, easy process. Specializing in Residential, Luxury, Estate Sales, First-Time Buyers, Downsizing, and Relocation. Private Schools: Archbishop Curley High (boys), Boys' Latin (boys), Bryn Mawr School (girls), The Catholic High School of Baltimore (girls), Friends School, Gilman (boys), Institute of Notre Dame (girls), Mercy High School (girls), Roland Park Country School (girls), and more. Whether it's a front porch or a front stoop, Baltimoreans sit out front to say "how ya doin', hon?" Patterson Park - vibrant and family friendly. Baltimore Museum of Art - houses over 95,000 works of art! Photos courtesy BaltoPhoto.org.